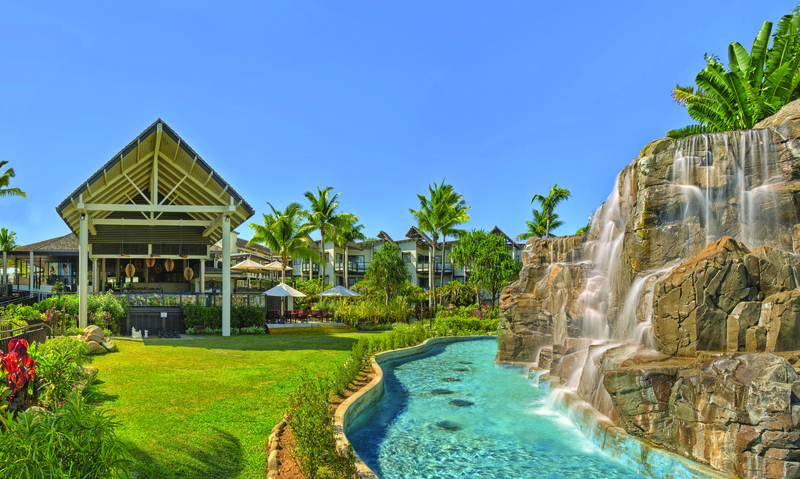 Staying at Radisson Blu Resort Fiji Denarau Island is an ideal place to holiday for families. Offspring Magazine Editor-in-Chief, Kate Durack shares her family’s experience at the resort. On occasion, I’ve taken my kids on a holiday, with Instagram ideals in mind – tropical sunsets, cocktails, reading a magazine by a sparking pool, and feasting on delicious food I haven’t had to cook – but the reality has been far different – think stress and hassle. Holidays with kids can sometimes be tiresome, especially when traveling with them alone, as I do. A five and a nine-year-old have lots of energy! However, this is why I loved staying at Radisson Blu Resort Fiji Denarau Island. I had a holiday too – it was self contained and very relaxing. And, being English speaking and less than a four-hour flight from Sydney made it easy to visit with children. 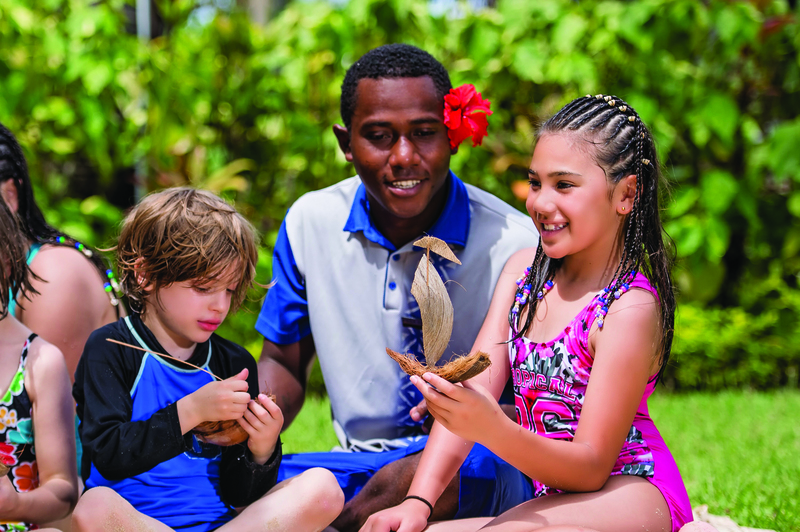 Radisson Blu Resort Fiji was voted 2017 Number 1 Fiji Resort for families on Trip Advisor. Many water activities were offered at the beach and the pool. The kids and I really enjoyed the water aerobics and water volleyball sessions, as well as our own fitness session whereby we challenged the five-year-old to swim unassisted to the Swim Up Bar, where they indulged in a slushie, and me, a Pina Colada. The pool was excellent – sandy and lots of variety, including interesting little streams, waterfalls and a water slide. We stayed in a One-Bedroom Suite close to the beach, which was supremely comfortable, spacious and fully self-contained (handy as Fiji can be expensive). 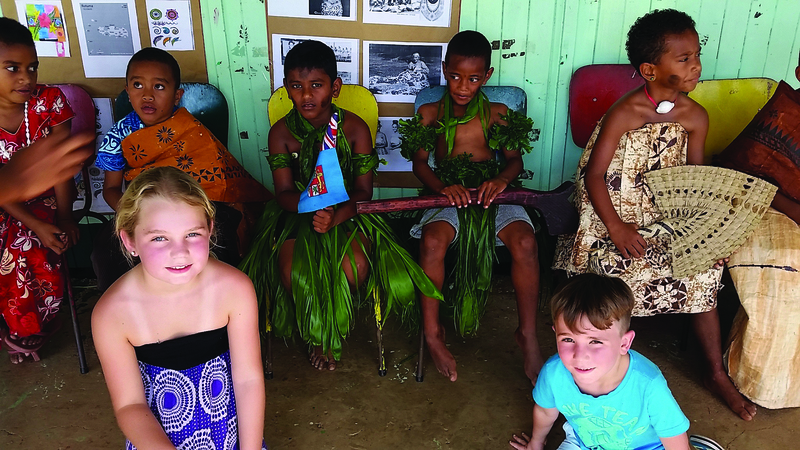 The Blu Banana Kids Club was fantastic – the Fijian people are wonderful with children. The kids went rock climbing, built and raced boats and had sandcastle competitions. The hotel has six restaurants and the food was fantastic. The buffet breakfasts and dinners were very good value and the kids didn’t want to leave the hotel to eat. I was impressed by the Radisson Blu’s sponsorship program, where they support 14 schools with educational tools such as technology, books, stationary and sporting equipment. The hotel offers weekly school tours of the schools, which was a highlight of our trip – a great educational experience and exercise in Appreciation. We gave a full suitcase of new books to the school we visited which seemed to be valued. Their reading resources are minimal compared to what our schools and homes offer. On the way back to the hotel, we alighted the bus in the district’s main area, Nadi, where we roamed around the markets, before catching a public bus back to the resort. This offered a great insight into perhaps a more authentic Fiji, which further enriched our holiday experience. 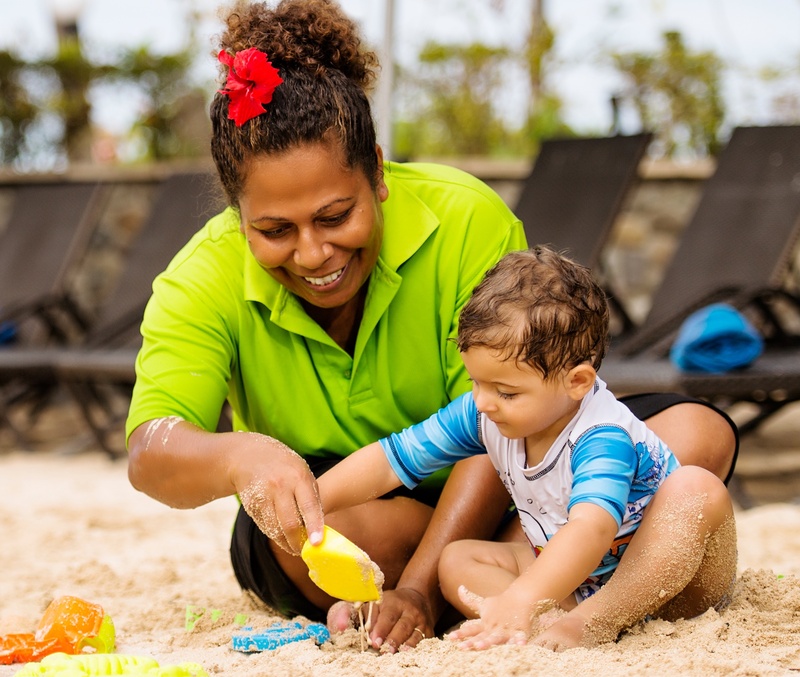 Radisson Blu Resort Fiji is a wonderful place to take young families.